Intense exercise has tremendous overall health and psychological benefits. But you are not going to get improvements to your health, performance and body composition until your diet changes. 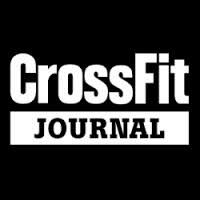 This is why what you eat is important to us at CrossFit | OFC. Give these six steps about four weeks and you will absolutely feel and see the difference. Cut out sugar and sugary foods including soda, desserts, any sweetener in your tea or coffee. Check ingredient labels as many "healthy" foods are loaded with grams of sugar (e.g., dried fruit, BBQ sauce, salad dressings). Managing your blood sugar levels keeps your insulin levels in check and prevents a wide range of diseases. Eliminate breads, pastas, rice and potatoes. This includes whole grains, brown rice, quinoa. All of it. Substitute for vegetables (best choice) and fruit such as berries, apples, cantalope. Limit grapes and bananas as they contain a high level of sugar which means high blood sugar/insulin levels. Eat some good fats with each meal or snack. Good options include avocado, olive oil, nuts or seeds, nut butters, coconut oil, and animal fat from wild/grassfed sources. Take fish oil to get your Omega 3s! CrossFit's nutrition experts say healthy people need 2.5 grams a day. But read the label to determine the true Omega 3 content. The Omega 3s are listed as EPA or DHA. That's the number you want to look at.